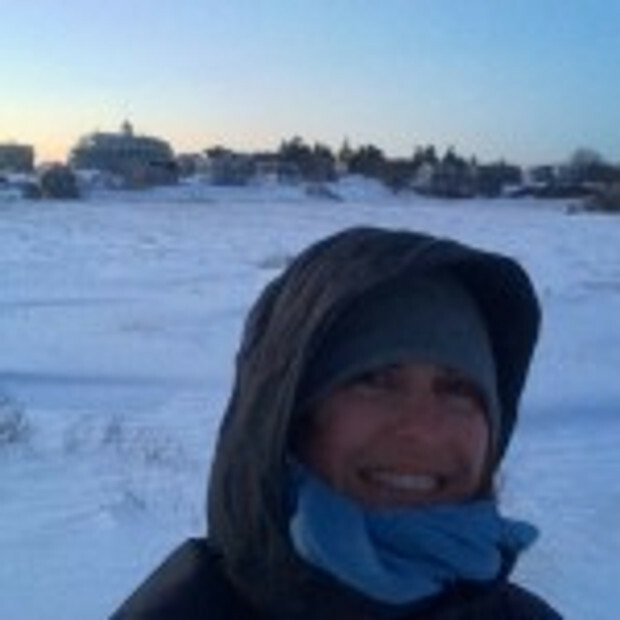 Doctors Kate Killoran (KK) and Katy Morrison (KM), and Happier Outside founder Mish Sommers started a Women’s Wellness Walk series this winter, based loosely on the Walk With a Doc model, and open to midcoast Maine women. At each session, we select a topic of interest to present and discuss. Here are a few topics we’ve covered so far! Slowing Down: It's important to slow it down! We know that! KM gave us a book review on “In Praise of Slowness”, Carl Honore. The Parasympathetic nervous system, and how the “rest and digest” part of our nervous system helps us feel calmer (KM). 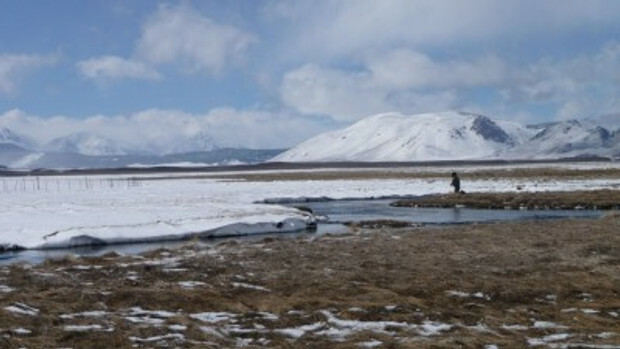 On the banks of Owens River, my younger son, Matthew, then 23, and I were trying to cure our nature-deficit disorder. That day, we staggered across the clumped grass and mud along the Owens and struggled to keep our balance as 40 mph gusts tangled our fly lines. 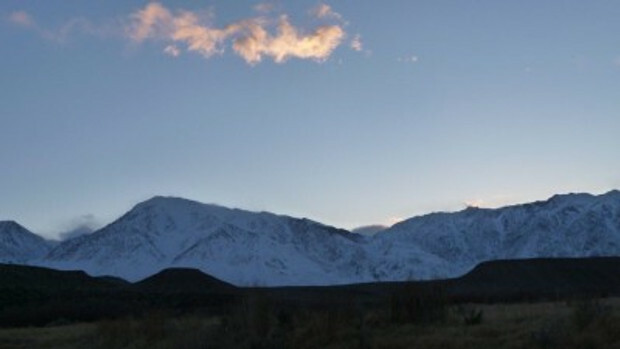 We froze and sweated in the sleet as the snow line crept lower on the Sierra. Fishing was terrible, we were miserably cold, and perfectly happy. As we fished, I thought about an earlier time for us on this river. When the Twin Towers fell, Matthew was 13. That afternoon, I bundled him into the VW van and took him to this very place. His brother was off at college by then, otherwise I would have done the same with him. We fled from the great pain that would lead to greater pain, and drove the six hours from San Diego to the Owens, and parked next to the current that washed out all the sound and all the fury. That night, inside the van, we flipped down the table and ate granola bars and drank hot chocolate and watched the window screens grow opaque with a late hatch of insects. And all the next day and the day after that, we cut the electrical cord to the outside world, and found a sense of equilibrium. Sven Lindblad, who heads Lindblad Expeditions, which works in partnership with National Geographic, once told me that, even as other cruise ship companies took a dive following 9/11, his ships, which focus exclusively on the wonders of nature – of the Galapagos, the Antarctic, and other points of interest – filled up with clients. In days following the trauma, families with children were especially drawn to the natural world, and he credits them with saving his business. Not everyone has the ability to seek out nature in difficult times. One must acknowledge that inequity, and another reality: The people who lost their homes to Hurricane Sandy or the people of the drowned parishes of New Orleans or the irradiated mud fields of post-tsunami Japan found no solace in the natural world. Still, in dark times, one human impulse is to find kinship with other species and connection to elements beyond the headlines, where we feel larger forces at work, and know that all things must pass. At the saturation point, the rush of water on a stream or a sudden storm on a high trail or a discovered quiet corner of an urban park is preferable to the inundation of media coverage that, hour after hour repeats itself, until our response to the pain on the screen seems to move beyond empathetic to gratuitous. How much of modern life is spent adrift in vicarious experience, second-hand reality, the pain of endless war brought to you by liquid cleansers? We do need to know about world events and tragedies manmade and natural, and there is no ignorance quite so unattractive as prideful ignorance. But we also need respite from the kind of media static that so often seems drained of reality. In a virtual world where information overload is more accurately described as information underload, a little raw authenticity and gratitude can be a welcome relief. So perhaps we can be excused for escaping the bad news for a few hours or days, as we lean into the wind slashing across the river, or see a trout rise, or watch a Harrier hawk glide close along a field, and on the long walk home step over the perfectly white bones of a cow that has not survived the winter, though we have, and not only survived but thrived. Richard Louv is chairman emeritus of the Children & Nature Network and author of “The Nature Principle: Reconnecting With Life in a Virtual Age” and “Last Child in the Woods: Saving Our Children from Nature-Deficit Disorder. Living in the desert of Phoenix, AZ taught me a great deal about tenacity and resilience, plus gave me a profound appreciation of trees. Trees in the desert are amazing in the ways they adapt to the harsh conditions - from micro-leafs to lime green bark. If there were military branches within the tree world, desert trees would likely be the elite forces with their ability to hide, camouflage, defend and make the best of a bad situation. Now I live in Vermont, where there are more trees than people. The trees here have been fantastic teachers. Unlike the humans cohabiting with them, they seem to know when to prepare of winter in the most glorious of fashions and how long to wait before springing to life after the long, cold winters. They don’t judge one another and will occasionally hold each other up, even re-orientating their growth to continue to live while leaning in. I am now neighbors with the national forest, hiking to it through my backyard regularly. When I lived in Woodstock, I enjoyed hiking Mt Tom a few blocks from my apartment and just behind a park. 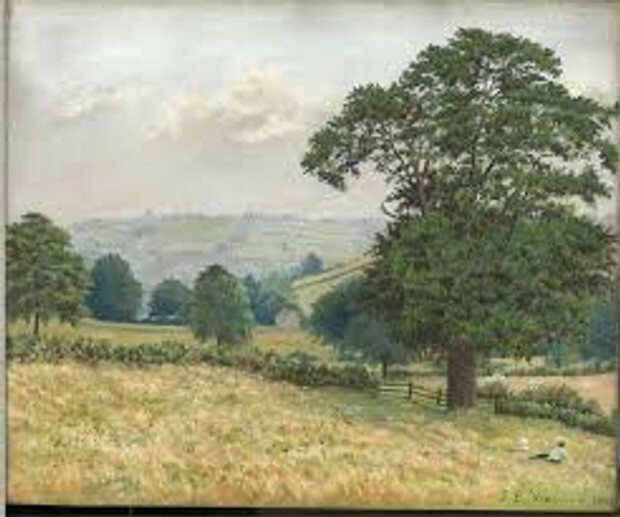 As I would go through the park, I often noticed a very large elm tree toward the back of the park, surrounded by apple trees on the park side and elms on the mountain side. I don’t know why this particular tree caught my attention, as it looked much like the other trees near it. However, the first time I saw it I had to hug it. The tree is on a path through the park, not next to the trail-head, so I had to walk a little out of my way to get to it - which I did almost every time I hiked Mt Tom. In college I was introduced to the term “treehugger” as a term to describe a person who was into peace, kindness, and the environment - what I would consider a modern hippy. 20 years later, I now find myself a literal tree hugger. The trunk was so large, it was impossible for me to wrap my arms around it. The feeling was almost like hugging my grandfather who had died years before. There was comfort there, an acceptance I can’t fully explain. It felt like “home” - more like the home I had before coming into this body of mine, if that makes any sense. I didn’t know many people when I first moved to Vermont, so those hugs were comforting to me in a place and time that I felt out of sorts and very alone. That tree had obviously survived for many, many decades (probably longer than I’d been alive). It survived an asphalt path being built over part of its roots, people walking that path, dogs urinating on its trunk, harsh storms, and who knows what else. If it could survive, I could survive. I miss hugging that tree. Though I have thousands of trees in my “backyard” of the national forest - and some some I have come to have a unique relationship with, none have taken the place of the Grandfather Tree. Wendy Rees is a lifestyle strategist, and the Founder of Whole Being Inc. She offers her wisdom through her writing, strategy sessions, coaching-style programs, and has just launched a membership program for people who are looking to dive deeper into living wholly. It's early spring; a hopeful, warm-ish day. The window is open and I'm thinking about quantum mechanics, about how we exist in a web of possibilities like a wave. 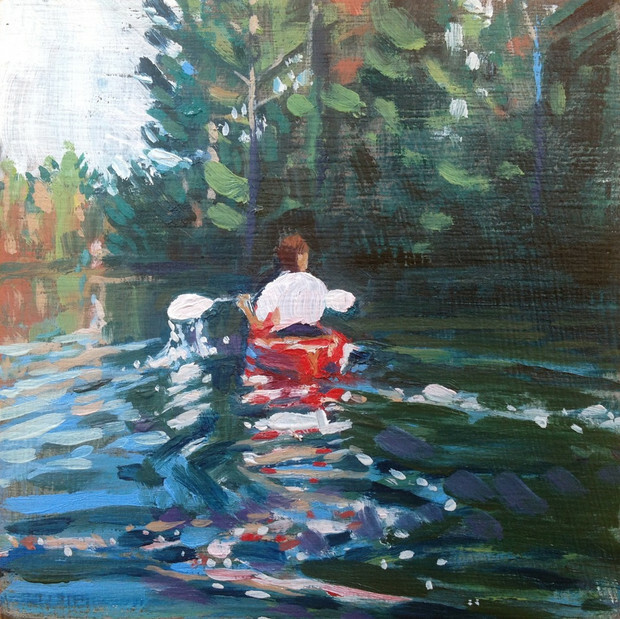 It is only when we look, when we see, when we observe one of these many possibilities that an object or moment matters as matter, that it is...Yes, the window in the studio is open and I am thinking as I paint; a paddling scene from a similar day almost exactly a year ago takes shape on my panel. My brain lights up with memory like the sun lights up this room. A river is like time, and both are waves of possibility. A moment of flow caught in paint is a miracle of seeing. You all know how to cook no? You decide what you want to do, you take the culinary book and follow step by step, isn't it that simple? Well, that's not how it works for me. That's not what my mum taught me, and neither is it what my grandma taught to my mum. Cooking is something huge for me, I would say food is something central in my life. We all need food but some of us have lost the connection with it. Today everybody feeds themselves... food has become "fast"... food has become something taken for granted. Often we eat because we are hungry, to satisfy our animal need to fill our stomachs. In my culture, when we prepare our food and cook, we give time and our digestive system to lubricate, and to prepare for the work. Cooking is fun because you mess up with food, and it is satisfying , because you see and enjoy the product of your work with other people. Cooking for somebody I care, is for me, one of the most fulfilling thing I can do for myself. Today, I do not want to explain to you how to flip omelettes or how to make bread, because if you wanna learn it, you'll figure out by yourselves, trying and failing, I would better like you understand the sense, and the art, of putting stuff together. Here is how you can start. 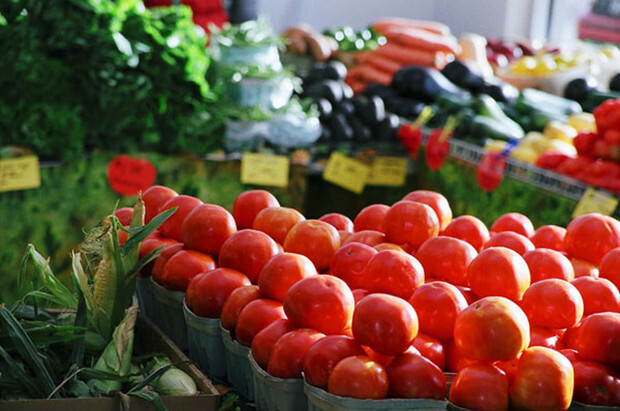 After you have roughly decided what to do, go to the farmers market or the grocery store by foot, just to have the calm and the time to improve your plan and reflect on it. If you don't have time, good: open the fridge and start to pull out what you have. The preparation is the creative part, the recipe will form itself on its own, never following the plan, and if you are doing it correctly, you will always miss some of the ingredients and have too much of some others. Don't follow any cooking time, continually taste whatever is in your pan or pot, trust your taste, burn your hands and tongue, add the spices you believe necessary... but never too much. Never, never put too many ingredients. This is my only rule in the kitchen. You don't have to create any new flavors - just wisely combine existing ones, picking between the thousands that Nature already provide you. Famous Italian recipes for example, are made by only two ingredients, mozzarella and tomatoes, Parmesan and pears, walnuts and cheese. Last thing, and the most important... sitting at the table, you should take some time to distinguish the different flavors in your plate, and than judge your creation. The only way you can learn here is from your mistakes, and to be good you can only practice... then you have to develop a good sense of taste - eating slowly, mindfully and enjoying the food as most as you can. Cooking the way I have been taught is a joy. It frees the mind because it is pure creativity. Carlo was currently an exchange student at Morse High School in Bath, ME (Spring 2015). 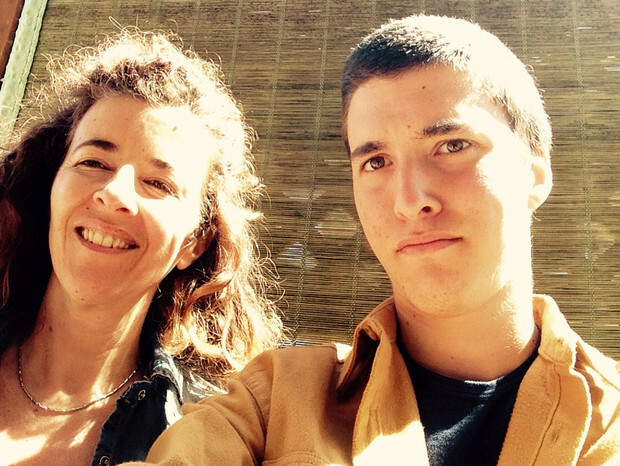 He is from a village south of Florence, Italy and loves to cook with his mom and grandma... he wrote this as an assignment for his teacher (Happier Outside friend, Danielle Young) and has granted us permission to publish this here. I had been practicing yoga in studios or my living room for about 15 years before I started doing yoga in the outdoors. When I did start practicing yoga outside, I wondered why I hadn’t done it sooner. 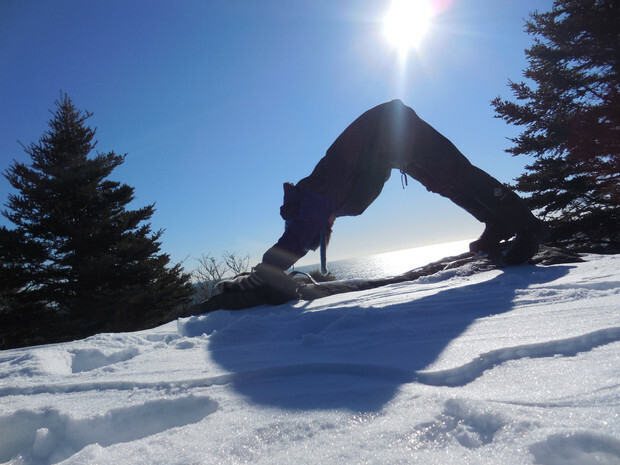 The effects of being in nature as I flowed through my Vinyasa, elevated my practice both physically and mentally. Often in yoga studios there is an attempt to recreate nature inside. Through the use of incense, nature sounds, and even breeze machines the instructor tries to connect you with nature and your body. Practicing in nature precludes the need for any of these artificial means. During the warmer months when the sun is beating down, I love the feeling of the heat on my skin, facing to the sun and letting the rays penetrate. A balmy breeze comes off the water, gently moving through my hair and across my cheek. The experience reminds me of my childhood, a simpler time in my life when time seemed to literally stand still, when I was less in my head and thoughts and more in my body and experiencing life with my whole-body. Pranayama, the practice of life breath, with the sounds of the sea lapping against the rocky coast is trans-formative. 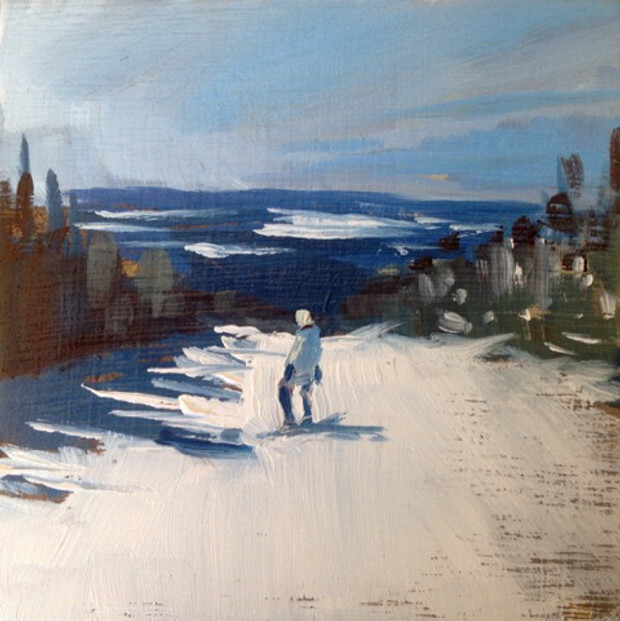 The rugged terrain, ice, snow and other physical challenges are a perfect metaphor for life. Staying flexible, calm and centered despite a ‘rocky road’ are all lessons I have learned. You also have to let the idea of perfection go when practicing outside in the winter. I have always felt most at home in nature and make getting outside a priority of each day. I used to keep my yoga practice and my nature practice separate as if they couldn’t go hand in hand. Keeping them separate actually made it difficult to work both activities into each day. Like you I have a job, family and community to care for and there are only so many hours in a day, so it was like a time windfall when I finally came to the conclusion that my two favorite activities could go together. Outdoor yoga not only challenges my balance and core strength, but also elevates my meditation and mind-body connection. 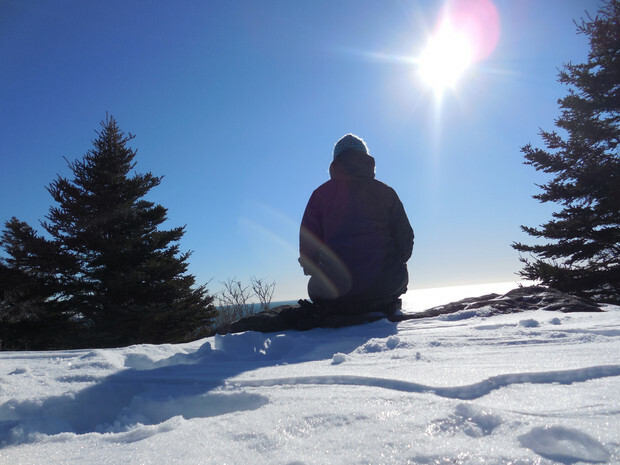 Whether the outdoors is warm and sunny, windy and cool, or snowy and cold; connecting with nature and the elements helps to create calm both physically and mentally. The life lessons I have learned through my outdoor yoga practice has been invaluable. Get started with your outdoor yoga practice today. You don’t need special gear or even a yoga mat to practice outside. I do recommend layers of comfortable clothing during the colder months, peel off layers as you warm up your body and put them back on as soon as you finish your practice. You may have a favorite flow that you already know or Yoga Journal has sequences to meet your needs or you can build your own. 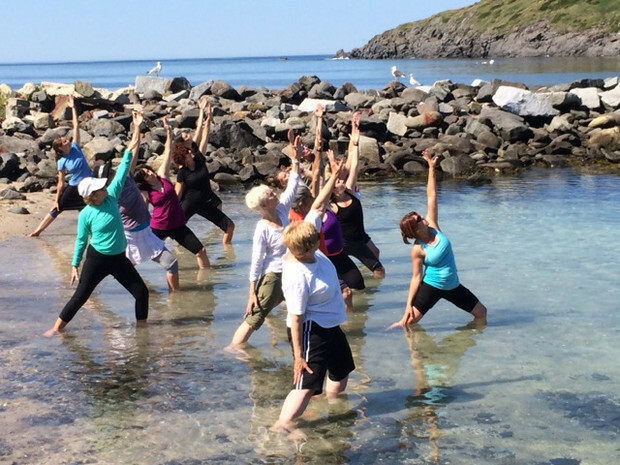 Still intimidated by the idea of practicing yoga outdoors? Join me for one of my day retreats, I will guide you through a day of yoga and pranayama by the sea that will leave you transformed. I have been hiking Monhegan for almost 15 years and have yet to get bored with the terrain or the views. I get out for hikes on the trails just about every day all-year round, and this year the island has gotten more snow than we have had in years. Monhegan Island is known for it’s untarnished beauty and extensive hiking trails. About 2/3 of the island is in conservation easements, thanks to the efforts of Monhegan Associates, and so there are many areas to explore. Despite the relative small size of the island, 1.5 miles long by .5 miles wide, there are almost 17 miles of hiking trails. The terrain is quite varied - the backside is rocky with high cliffs, Cathedral woods provides shelter on windy days, and Pebble beach has big, beautiful round stones that are fun to explore. With the snow accumulation this year, I have been running into road blocks at every entrance to the trails which has been making it harder to get out and hike. 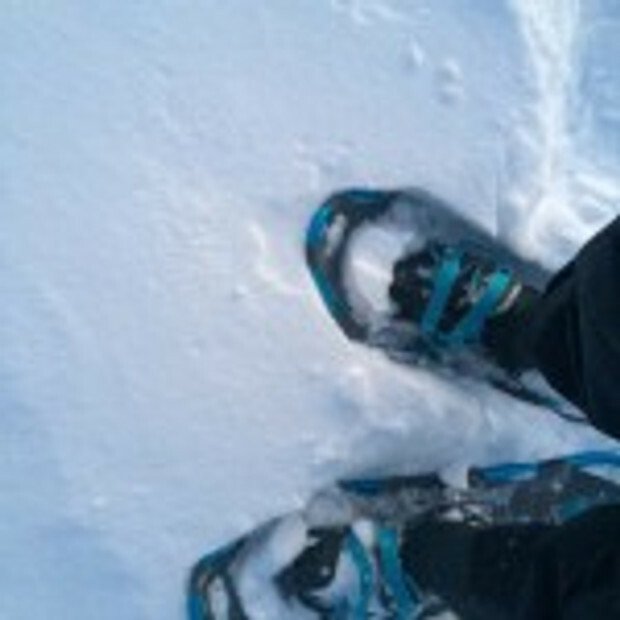 So the last time I was inshore, I went to the local sports retail store and picked up a pair of Atlas snow shoes. I love them - they solve the problem of big snow drifts, and give me the freedom to get outside and active despite the inclement weather, every day. I have always been a bit of a trail blazer and ‘road-less-traveled’ kind of girl... I love the action of breaking a trail, of crossing the un-crossable and of going places I couldn’t go to before. So far I have crossed our water filled meadow, gone into ravines I would otherwise have steered clear of, and been able to frolic along the edges of some huge snow drifts. 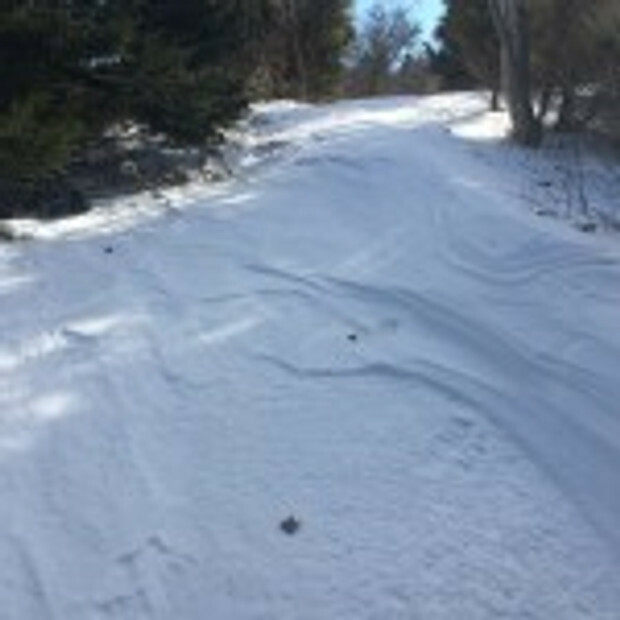 If you have had a hard time getting outside and active this winter because of the large snow fall, snowshoes may just be the answer to your dilemma. They are relatively inexpensive and they are hardy enough to last upwards of 10-15 years. Some brands or retail outlets will repair snow shoes for you as well. Snowshoeing does not require a lot of extra gear. Of course - just like any sport you can buy accessories and special gear or outfits - but you don’t need these things. What you will need is layers of water-resistant clothing for warmth, good snow boots, and good snow gloves. Most likely you already own these things, so I recommend you just go out and get yourself some snow shoes. There are still plenty of opportunities to use them this year! 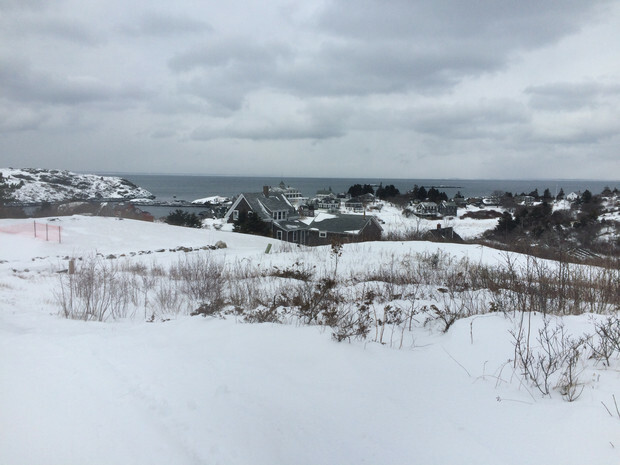 Tara Hire lives on Monhegan Island year-round, which is no simple choice! She is a nutritionist, a yoga teacher, entrepreneur and writer. This piece was originally published on Tara's blog. Hiding behind a large red oak tree, I can feel the moisture of the soft moss soaking into my khaki dress pants. I hear the voices of my niece and nephew get louder as they run down the trail, calling out my name. My bright yellow shirt gives me away and they run up to my hiding spot and jump onto my back. By now my wife and two sisters have caught up to us and I take my turn walking with them while the two little ones run up ahead taking their turn to hide from the group. I smile as I watch their little feet beat down the trail, jumping over rocks and roots, gaining just enough distance to dart into the trees unseen. It was a game I had taught them the last time we went on a hike through the woods, and one that I have played for as long as I can remember. When we were young, my family would explore the different islands along the Maine coast in a large Banks Dory that my father had built. We liked to pretend we were a family of Native Americans exploring each island in search of food and berries. My father was Sleeping Bear and my two sisters were Moon Glow and Princess Punky. I was Swift Arrow. I would run up ahead, find a good hiding spot right next to the trail, and wait for my family to walk past. Once they were down the trail far enough, I would run past them and hear their cries of surprise as I continued in search of the next great hiding spot. I could hear my niece and nephew giggling as we walked past a fallen log on the side of the trail. “I hear something,” my older sister said, and the woods became quiet for a brief minute before the giggles turned into laughter. The excitement of hiding was too much for them and they jumped out from behind the log. “It’s your turn Uncle Jonny!” they said to me. I accepted their challenge and charged down the trail feeling like a child once again. My journey begins from a small village in Nepal. Lukla is the start of many-a-mission for folks embarking on their dream of seeing the Himalayas, in whatever facet that may be. Upon approaching Lukla with its short and narrow runway teetering on the side of a cliff, amid the looming snowy peaks, I have no idea what to expect. But what I do know for certain is that from my early 20s (I am now 40), I was meant to find my way to this place. 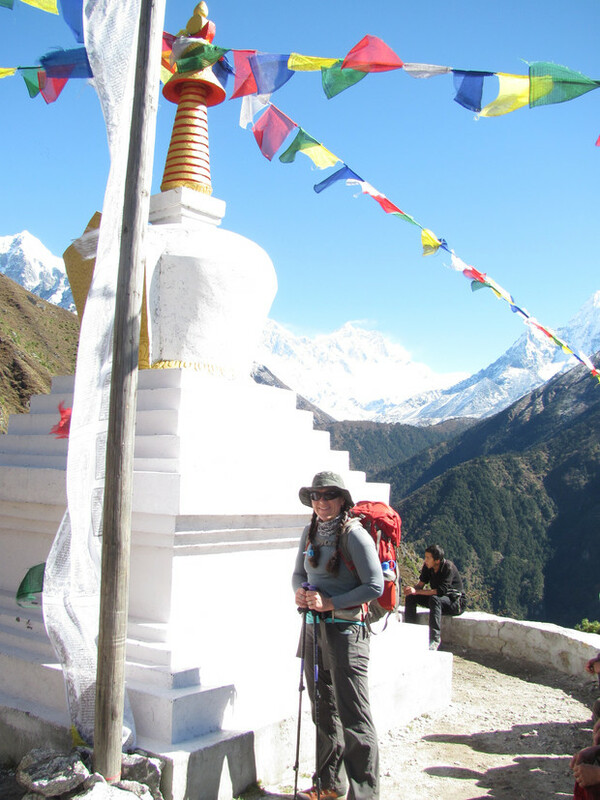 Our small group wastes no time as we grab our duffel bags and carry our backpacks up to a tea house where we fill up our water vessels, arrange our gear, meet our porters, and begin the 15 day journey up to Everest Base Camp. With every single step, I am in complete awe; the natives are kind, patient, and generous, the villages and culture are even more colorful and spiritual than I could ever imagine, and the scenery leaves me at a loss for words. 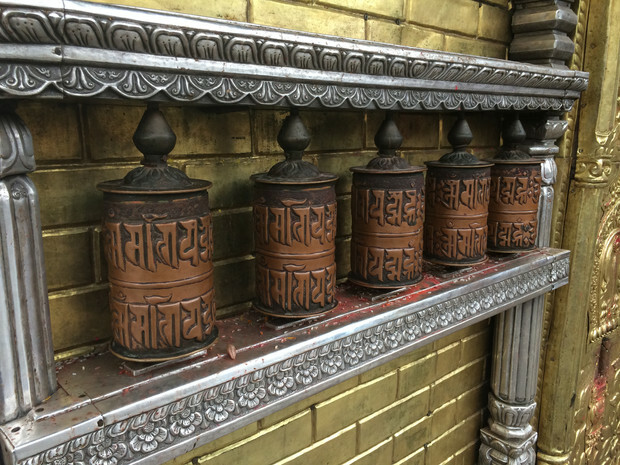 Each “Namaste” spoken, each vibrantly-painted prayer wheel spun, and each bite of a Momo (or Tibetan Bread), captures my heart, I am in love. But it is not until we catch our first glimpse of the mother herself, Sagarmatha (Mt. Everest), the keeper watching over all of us; this is when I start gasping for air and the tears begin to stream down my face; this place literally and figuratively takes my breath away. How does this happen to someone like me? How do I get to experience this with my own senses? Do I ever need to know the answer to these questions, or can I just be in it and be grateful? I choose to feel blessed. As we spend our days hiking and acclimating, and our “paths” become clearer, I become more impacted, and my journey becomes more profound. It becomes more apparent how massive these peaks are as helicopters carrying patients stricken with altitude sickness, are just a speck amongst the backdrop of these gigantic mountains. Ama Dablam “Mother’s Jewelbox” watches over us the entire trek, while Sagarmatha remains elusive and in and out of view. As we immerse ourselves further and further into the arms of the Khumbu Region, my appetite diminishes, I choke down 2 hard boil eggs and a piece of toast each morning, headaches are more common, and sleep more deprived, the laughter fades, and is replaced with focus and self-preservation. What will this journey bring? 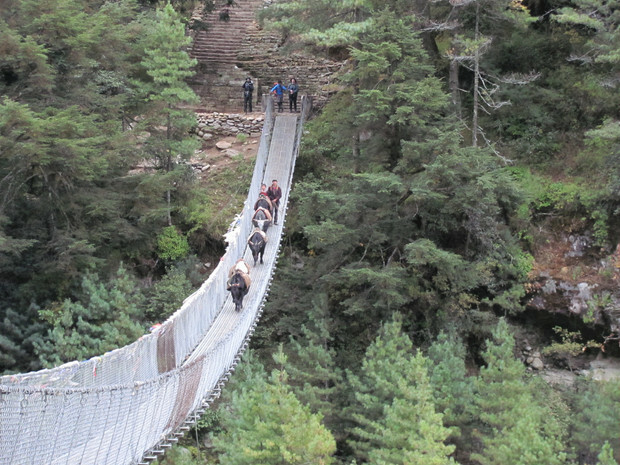 After crossing numerous suspension bridges, passing several Stupas, chorten memorials, the Tengboche monastery, porters and Yaks, endless numbers of prayer wheels, prayer flags, bustling villages such as Namche, a Yeti skull (yes, I said it, a “yeti” skull), and handmade jewelry and wares, we find ourselves on another planet. Sitting at 17,500’, I’ve made it to Everest Base Camp. Tears come and I can’t speak, here I am, on a pile of rocks, on a total high, surrounded by the tallest mountains in the world. I thought I had finally arrived, I thought this was my destination, but I was wrong, this isn’t where this story ends. 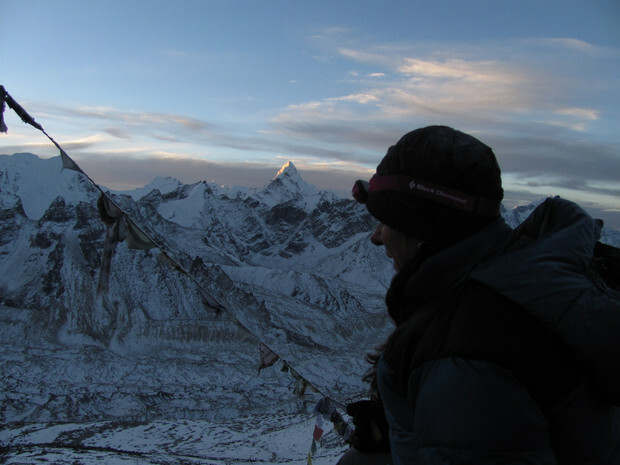 The next morning we anticipate our highest ascent of Kala Patthar, peaking at 18,200’. Setting out at 3:00 AM, hoping to arrive at the summit by sunrise. The temperatures are colder than anything I’ve experienced before. Slowly, with 50% of the oxygen in the air than at sea level, and step by step, I arrive at the peak. My patient husband holds me as I cry, and then we move on to celebrate our successful summit bid, this awe-inspiring planet, and our lives. I then continue on my path.